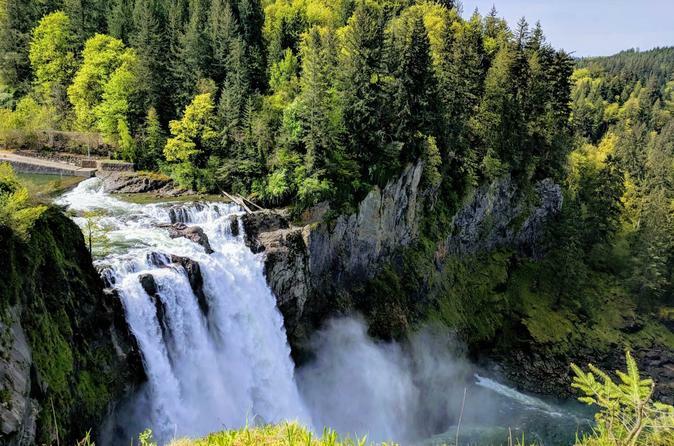 Refine your palate at our region's renowned Woodinville wineries and experience geology in motion at Washington’s most dramatic waterfall on this small group day tour to Snoqualmie Falls and Seattle wineries. Washington is now the nation’s second largest wine-producing state, and Woodinville alone has over 130 wineries. Throughout the day, you'll enjoy meaningful commentary on the history, culture, and geology of the region from an expert local guide. The tour includes a gourmet lunch, wine tasting fees, and pick-up/drop-off at your Seattle hotel in our luxury Mercedes van.